A resident living near McKinley High School says "I have seen everything from public urination, smoking of pot, drug deals, fights." Neighbors living near McKinley High School on Elmwood Avenue are troubled with what they see as a trend of bad behavior near the school. Last Thursday, a teacher at the school was body slammed by a 14-year-old freshman boy. The teacher says he took the boy's cell phone away because he was listening to music during class. When he called the student's parent, it wasn't a minute later before the teacher says the boy threw things at a him, started swearing and calling him vile names. The teacher suffered a major cut on his back. Residents are fed up with the bad behavior and they've shared pictures with 2 On Your Side. "Some of it is happening in the morning, but the majority of it is happening after school. I have seen everything from public urination, smoking of pot, drug deals and fights," said a Buffalo resident who asked that his identity not be revealed, fearing retaliation. The student who assaulted the teacher was arrested and charged with a felony. The Buffalo Public School District informed the teacher that he would be placed on paid administrative leave after 4 p.m. on Friday. The teacher is unclear why he was placed on leave. The president of the Buffalo Teachers Federation PhIl Rumore was also unclear. 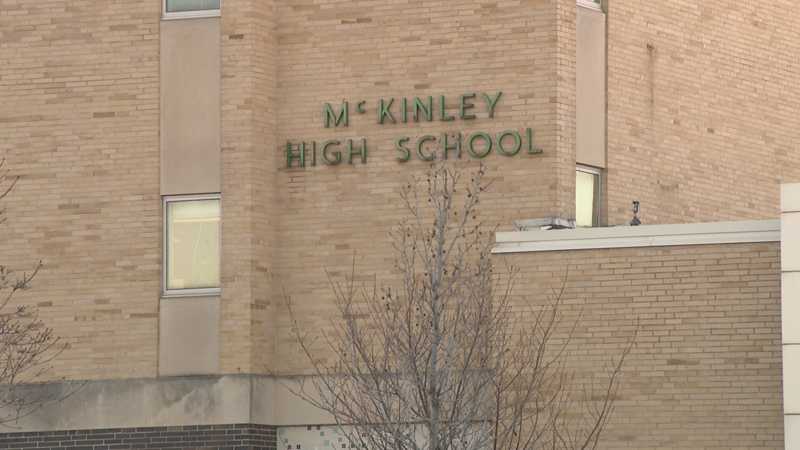 Teachers and neighbors say student behavior changed at McKinley after longtime principal Crystal Boling Barton was placed on leave. Her case remains in arbitration. Neighbors notice a difference, stating "she ran a tight ship, these are children they need supervision." The teacher injured told 2 On Your Side that "teachers and students feel unsafe." The current acting principal is Marck Abraham. "This is one of the first schools that we've ever had that the teachers took a vote of no confidence (in a principal) because of what was going on in that school," said Rumore. Rumore hopes no one "gets killed" before something is done. His sentiment was echoed by a neighbor who said "something has to change drastically and quickly, because if something doesn't change, there is going to be another incident like what happened in the school outside of the school."